It’s been longer than intended, but let’s jump right in. In the interest of drama, here’s my own personal best (worst) recent encounter with a cranky storeowner, and if you’ve got a similar story of your own, I’d love to hear it. 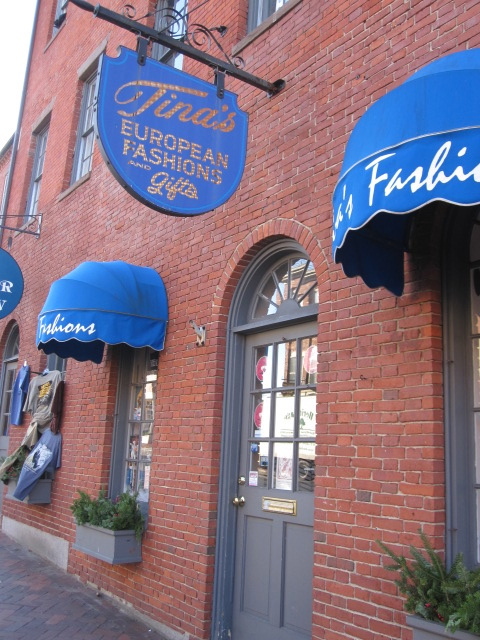 My first impression, glancing into Tina’s European Fashions, in this pretty coastal New England town that shall remain nameless, was that it looked promising—striped sailor shirts and Greek knick-knacks—despite its quaintly dated name. 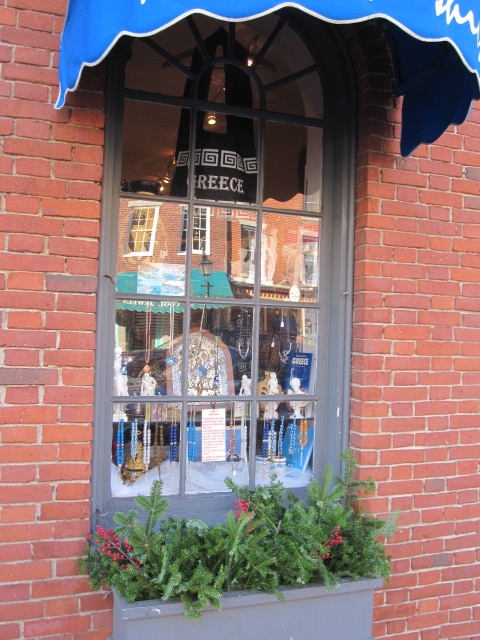 Sure enough, crossing the threshold was like stumbling into a Greek taverna. Lively music blasting, flowy cotton shirts rising to the rafters like flags on a mast, olives everywhere (oil, soap, imported Kalamata in tin cans), and saints and Greek islands pasted to the walls. A rapid-fire conversation (in Greek, with Tina, an older, attractive bundle of energy) was galloping along behind the counter. I was enchanted, bought a few trinkets, accepted a sesame bar from Tina, and decided to come back the next day to jot down a few notes and peruse the icons. Look closely, you can make out some goodies…. Thank the Greek gods I did, returning in the late afternoon to select a few more items before casually mentioning to Tina that I’d like to include her in an upcoming travel story. Not focus on, mind you. Mention. She skewered me with her dark Greek eyes. Had I somehow unwittingly managed to insult every member of her family going back to the time of Homer? It dawned on me, maybe she thought I was trying to sell an ad. “It’s for a story,” I began lamely. “I’ve had too much tragedy in my life!” she flung out her arms, and now I was at a total loss. Her friend, seated behind the counter, grimaced in some sort of distant galaxy’s version of half-hearted sympathy, and then she shrugged, in the manner of ‘why don’t you take off running now and don’t ever look back?’ But for some humiliating reason, I couldn’t stop myself. I needed to explain, or else walk away, but the simple fact was that Tina had my credit card and I wasn’t getting through to her. She rang me up, ran my card, excoriated me a little more for good measure, and sent me on my way, clasping a tiny wooden icon and no single shred of dignity. Would I go back again? Only in deep deep disguise. When curiosity (and lingering humiliation) prompted me to go online to see if anyone else had had a similar experience, I found a mixed bag. Half the customers called her rude; the other half found her warm and irresistible. My own experience split the difference. I loved the shop. Tina’s a trip. Maybe you should go there. Just please don’t tell her I told you. 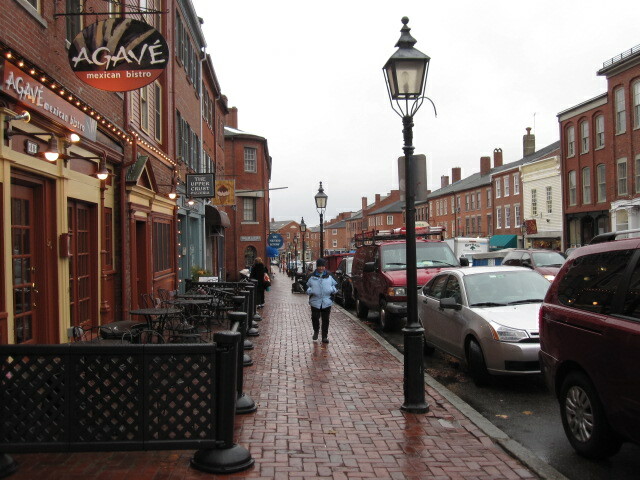 This entry was posted in A Desk with a View, Travel and tagged Boston, Greek, New England, Northshore, Seaside towns. Bookmark the permalink. post-Tina. (Or pre-Tina, if I dared go back to her place). -And then maybe take a long walk on Plum Island.